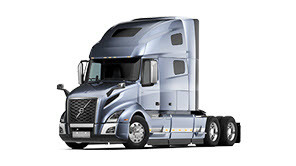 The first manufacturer to make fully integrated forward collision warning standard. 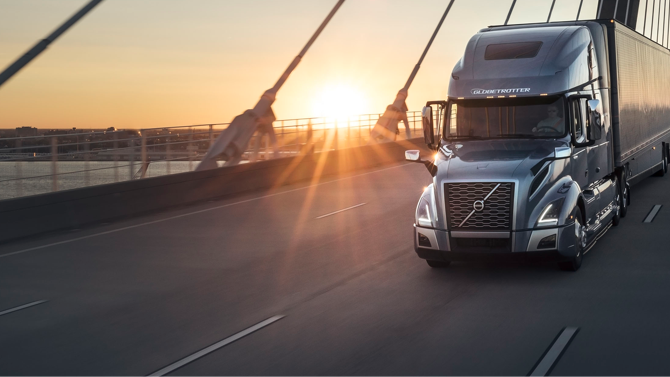 Volvo Active Driver Assist is forward collision avoidance technology that helps drivers adapt and respond to changing traffic situations to help reduce the risk of collision. We take camera and radar technology and combine them together, working in unison to give the driver the best information available. 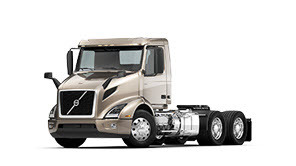 Volvo Active Driver Assist steps in by disengaging cruise if it was set, reducing throttle, engaging engine brake, downshifting and even applying service brakes. All to mitigate the severity of an impact or avoid a collision all together. 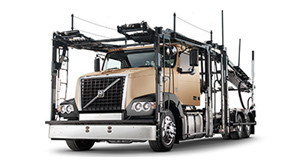 The radar sensor in the front bumper monitors metallic objects moving in the same direction as the truck, looking forward as far as 500 feet. For objects that are not detected by the radar, the camera's 42 degree viewing angle works like an extra set of eyes. It is highly effective at determining the position within the lane, size and other critical characteristics of an object. 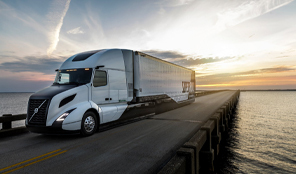 Driver assist indicators and collision mitigation features are always active, notifying drivers when issues occur through visual and audible alerts on the driver information display. Volvo Active Driver Assist features a heads up alert that produces a red light that is reflected on the windshield when a strong forward collision possibility is detected. Lane departure warning uses the windshield-mounted camera to track road markings. If the truck beings to drift, the optional feature uses audio and visual alerts to warn the driver to get back into the correct lane. 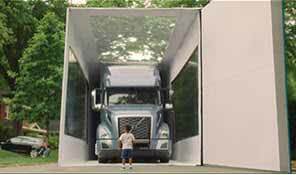 As an addition to the Volvo Active Driver Assist system, the Volvo right side blind spot helps drivers detect potential dangers and avoid them. Along with an audio response, a LED warning light appears on the right side A-pillar, notifying the driver when a vehicle is within the blind spot radius. 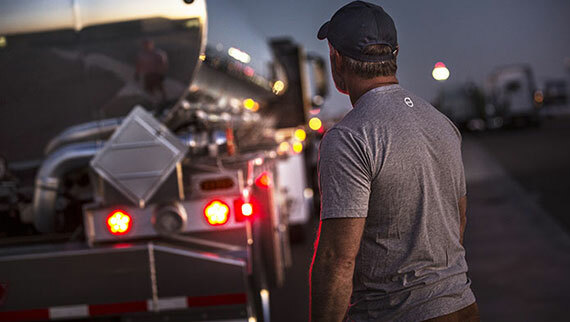 Volvo Trucks decision to make Volvo Active Driver Assist standard is another example of our commitment to making highways safer, not just for our commercial truck drivers but for everyone else that shares the road. 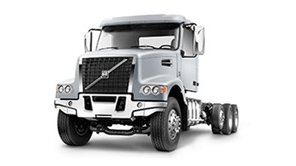 The shape of trucks to come. 0The future of regional hauling - today. 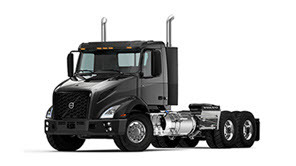 1The shape of trucks to come.